Fifty-two years ago today, on June 16, 1963, Cosmonaut Valentina Vladimirovna Tereshkova became the first woman in space. She launched from the Baikonur Launch Complex aboard her Vostok 6 booster in what was the former Soviet Union. The flight of the first woman in space was considered a propaganda stunt, but actual science was performed during the flight, including the first communication between two crewed orbiting spacecraft (Vostok 5 flown by cosmonaut Valery Fyodorovich Bykovsky). She spent three days in orbit and completed 48 orbits. Shortly after Yuri Gagarin’s flight, Cosmonaut Chief Kananin brought up the idea that the Soviet Union should put a woman in space to Chief Designer Sergi Korolev. Korolev agreed, and in October of 1961 the search began for 5 women to join the cosmonaut ranks. According to Astronautix.com, “Piloting experience was not necessary, since the Vostok was completely automated and the occupant was considered a passenger. However, [the] parachuting experience was essential, since the Vostok cosmonaut was ejected clear of the capsule after re-entry and landed on Earth under a personal parachute.” The qualifications required included the following: “likable girls” under 30 years of age, physically fit, ideologically pure, were experienced parachutists, and were within certain height and weight requirements. Tereshkova was a worker in a textile plant and an avid parachutist. She was selected as one of five women out of 58 potential candidates. Though the least qualified and educated of the five women who were chosen, which consisted of test pilots, engineers, and world-class parachutists, Tereshkova was actively involved as a Communist leader in her workplace which enhanced her resume. On June 16, 1963, Vostok 6 with Tereshkova was launched into orbit. Her call sign was “Chayka” (Seagull). During her time in space, she completed experiments on comparative analysis of the effects of spaceflight for male and females, and medi-biological research. She also came within 5 km of Vostok 5 and they became the first spacecrafts to contact each other while in space and practicing joint flight measures. She spent three days in orbit, orbited the Earth 48 times, and landed on June 19 spending more time than all the American astronauts up to that time in space. Due to rampant sexism and opposition within the Soviet Air Force, Tereshkova never got to fly again and the Woman in Space Program was cancelled. Tereshkova went on to marry fellow cosmonaut Andriyan Nikolayev. They had the first child ever born from two people who had flown into space. After her flight, she became very active in the Communist party. Now retired, she is currently living outside of Star City. On this day in spaceflight history, a woman showed the world that she too had the “right stuff”. The Tereshkova flight was such a successful propaganda stunt that for Moscow it would be half a century before any Russian woman was allowed to qualify for spaceflight on talent alone. Whenever faced with an impending new level of women’s participation in US human space flight, Russia just scheduled another one-off woman’s stunt. 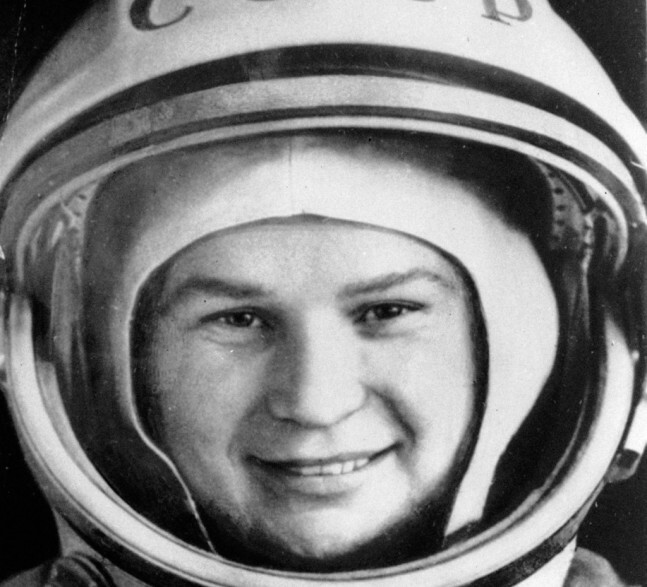 So the naive Western gullibility that Tereshkova somehow proved ‘equality of women under communism’ severely damaged the access of Russian women on their side of the space frontier. NASA openly discriminated against women and ethnic minorities for nearly twenty years before using cheap television theatrics to recruit talent from both groups. Interestingly enough, during the early 80s, the American media hyped Sally Ride as the first female astronaut deliberately misleading the public at the height of the Cold War. 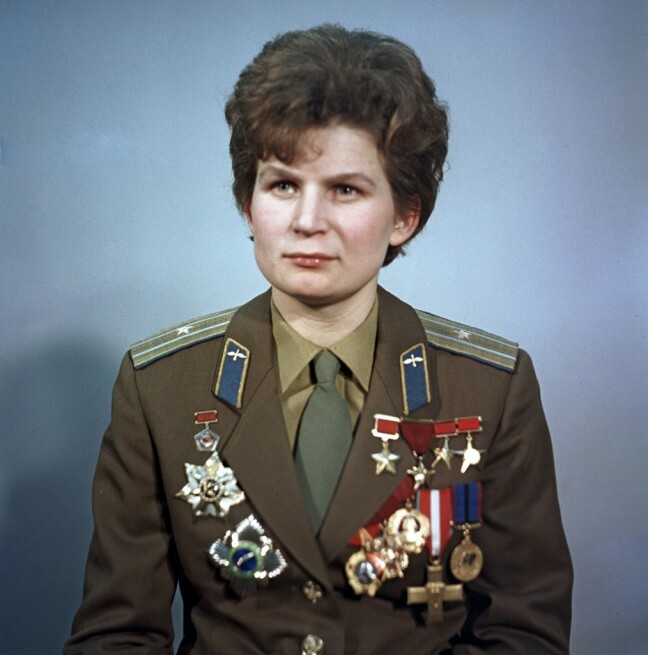 I knew Valentina Tereshkova held this honor, and so did thousands of other military brats growing up overseas. Now with the hindsight of history one can formulate their own opinion about the competing space programs.